The Hosthero® Affiliate Program enables you to earn a generous commission from products purchased by people you send to our website. Hosthero® Ltd, is a recognised leader and trusted provider of web hosting solutions in the United Kingdom, and is looking for good partners! You can send people to us in a number of ways, including; links in your e-mails, a link on your blog, links in posts you make to your blog, Twitter account or via banners and buttons you add to your website. 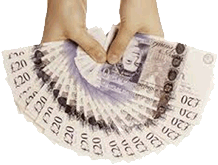 By sending customers to sign-up for our unlimited hosting packages you will receive a payment of £30 per referral. What could be easier than offering a fantastic service to those that visit your website, and making a healthy sum on the side! Unlike most other providers we pay our affiliates weekly. Furthermore, our cookies have a one year lifetime, so you can qualify for commissions upto a year after your affiliate cookie has been picked up by the customer. Our program is free to join, easy to sign-up and requires no technical knowledge. Simply tell us about you and your website and once you have been approved we'll send you your personalised tracking-link. You're then ready to start making money!